Preheat the oven to 180°C/360°F. Roll out puff pastry on a baking sheet lined with parchment paper. Fold the edges over to create a rim. Spread a thin layer of Gorgonzola cheese on top. Beat the eggs and spread them over the cheese. Prepare the asparagus und chop the garlic. 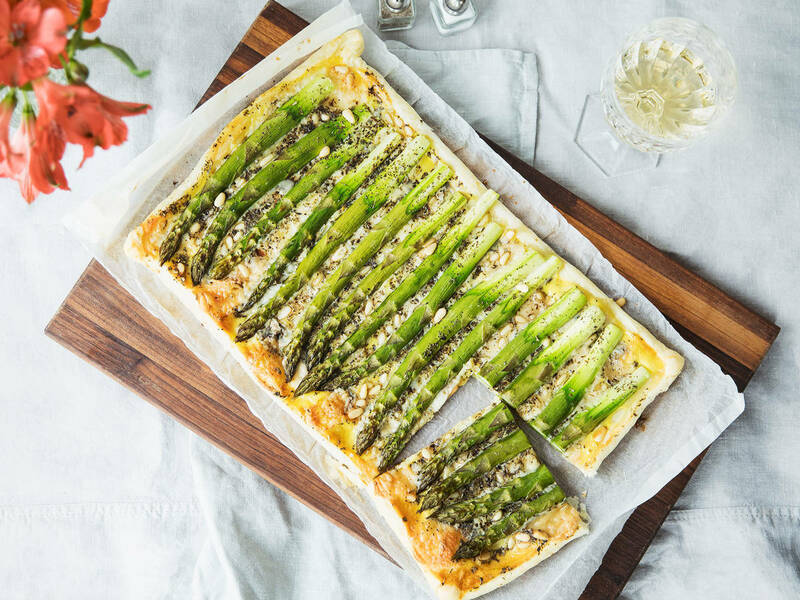 Arrange the asparagus on top of the egg layer, then add pine nuts, garlic, herbes de Provence, salt, and pepper. Bake at 180°C/360°F for approx. 20 min. until golden.